College football and flower fans across the country are gearing up for the Rose Parade on New Year's Day. 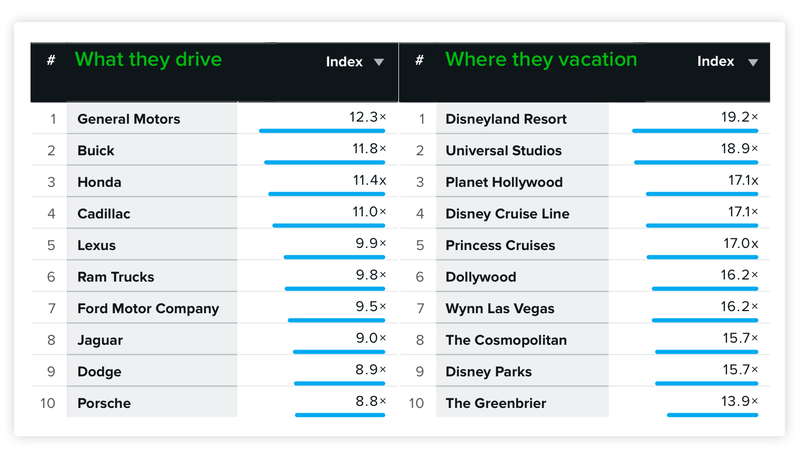 In the holiday spirit, we used Quantifind for Media to find the brand affinities of viewers who will watch the broadcast. Quantifind for Media provides ad sales teams with actionable audience insights about media consumers and advertisers’ consumers to identify prospective advertisers with consumers more likely to view your content. 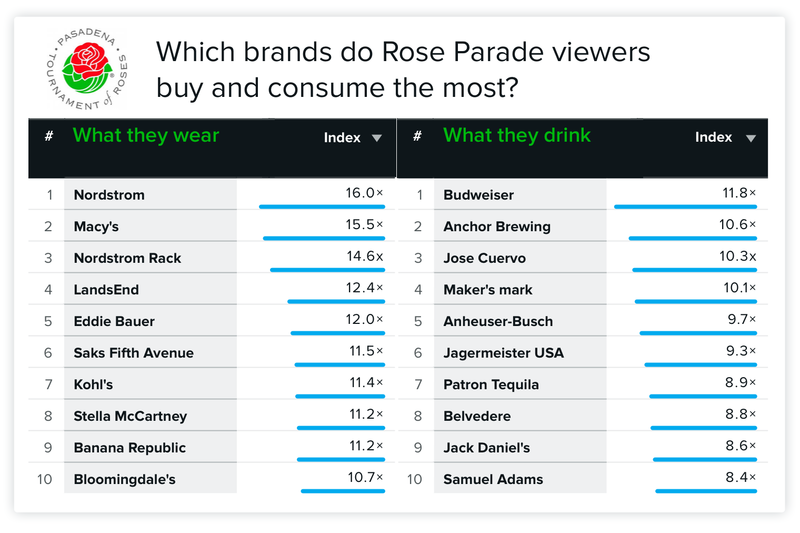 In the case of the Rose Parade, we used the tool to look at what its viewers like to wear and drink. How might the many Rose Parade broadcast partners use this information? They can prove out a deep understanding of a potential advertiser like Nordstrom with specific affinity data illuminating the preferences of its consumers. More specifically, the networks could approach Nordstrom with the knowledge that people who watch the parade are 16 times more likely than the average person to shop at the retailer, and then compare that number favorably to other holiday programming as part of the compelling pitch. The analysis doesn't have to stop with clothing and drinks, either. Quantifind can look at up to 94,000 different audience segments. Here are the favorite vehicles and vacation spots for Rose Parade viewers as well. So while you're enjoying the parade over the break, take a moment to consider that in 2018 you can drive strategies by pinpointing key demographic targets, interests, lifestyles, and conversation overlaps between your brand and your advertisers’. And also consider that for the special Rose Parade fan in your family the perfect stocking stuffer would be a Nordstrom-clad GMC ride to Disneyland with a Budweiser (in the passenger seat).